When it comes to buying a sofa most people want 3 things – style, comfort and functionality. 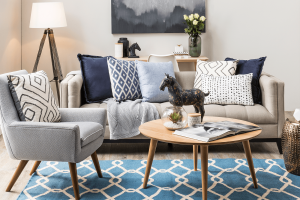 We’ve put together our most versatile sofa selections to help you find the best sofa to suit your lifestyle and home. A modular sofa is made up of separate pieces allowing you to create multiple layouts. This type of sofa has the flexibility to adapt as your lifestyle and priorities change, making this option great for growing families. 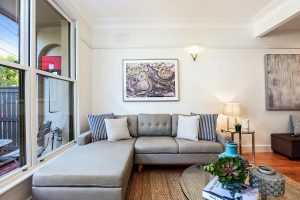 The downside is that usually they are on the larger scale, so if you have a small space it may not be the best choice, despite its flexible layout. There are a range of modular options on the market including corner seating, ottoman, chaise or side/end modular layouts. 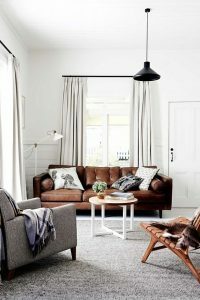 Available is various layouts and styles the chocolate brown leather sofa affords a stylish option that will work with many décor schemes. Available in countless designs from a relaxed modular to tailored three seaters, the neutral palate allows for flexibility, but the depth of the colour hides potential marks and stains. The downside of leather is that it can scratch easily – something to consider if you have pets. That said natural leather quite often looks better a little worn, so it depends on the overall look you are trying to achieve. The neutral fabric sofa is a go-to styling item for us, because it works in most homes, with a large range of contemporary décor schemes. 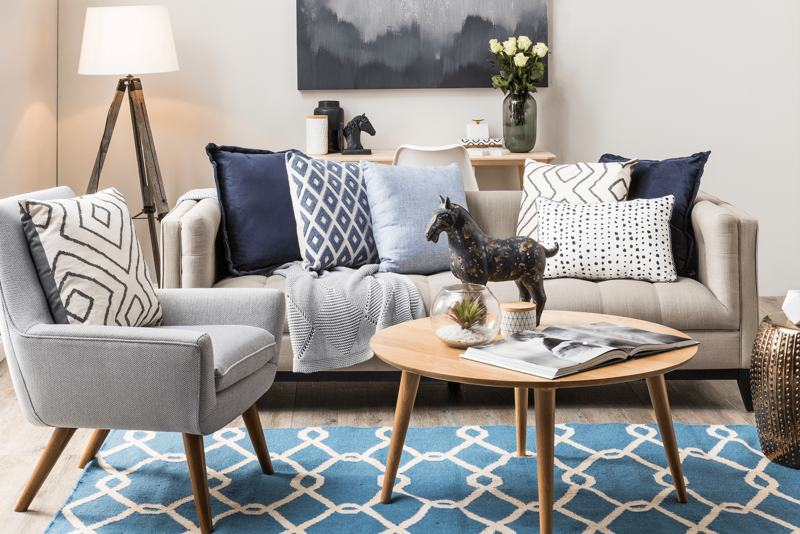 In particular medium to dark grey tones provide a lot of flexibility, meaning you can swap out your cushions, throws and accessories and add a new accent colour palate without disrupting the harmony of the room. When selecting your sofa’s fabric consider carefully your lifestyle and how this sofa will be used. 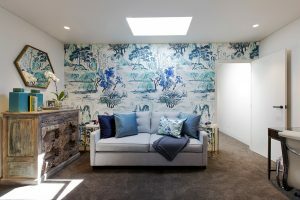 A light grey/white or cream fabric might work in a formal living area that does not get used regularly but a rumpus or family room would be better suited to dark greys and fawn tones with a hard wearing fabric. Removable cushion covers are also a big must in regularly used areas or family homes. Who doesn’t love a piece of furniture with multiple uses? The sofa bed offers the amazing flexibility of additional bedding arrangements for guests without having to commit to a full guest room. If you have a spare/guest bedroom this is a must have. A sofa bed will allow you to utilise this room’s full functionally when you don’t have guests staying. You can set the room up as an additional living space or a beautiful office with sofa seating that folds out to allow for guest accommodation. Sofa beds are also a great option for the living area in a one bedroom or studio apartment. There are some great sofa bed options available these days, we recommend investing in the premium mattresses – your guests will thank you! Vault Interiors is in the business of creating higher value spaces through vibrant and edgy design. We specialize in unlocking the potential in your property and helping you increase its value through presentation, functionality and appeal. Contact us today to get an obligation free quote from one of our property stylists.